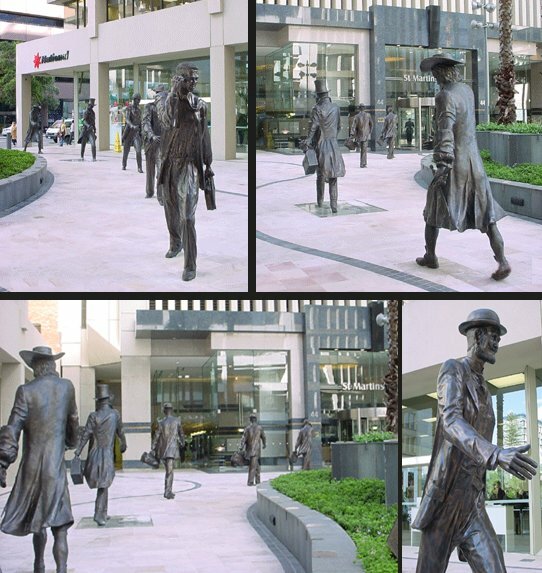 This sculpture group commemorates the 175th anniversary of Western Australia and symbolises the business people who have built this thriving CBD. Inspired by the fact that St Martin's Centre occupies the site of the first businessman's club of WA, this public artwork recognises their involvement in key historical moments during Perth's development. 1. Dutch Exporation, discovery, mapping and naming of the Swan River 1697.